Gadgets & Novelty Gifts Mystery Box Giveaway Winner: Congratulations to DJ S. of Hernando, MS, winner of the Gadgets & Novelty Gifts Mystery Box. Thanks to all entrants, and be sure to check the Dude homepage or Dude Giveaways section for your chance to enter our latest prize drawing. This giveaway concluded on September 24, 2017. Some mystery gadgets for you, some mystery novelty gifts for your enjoyment in pranking or gifting to others. 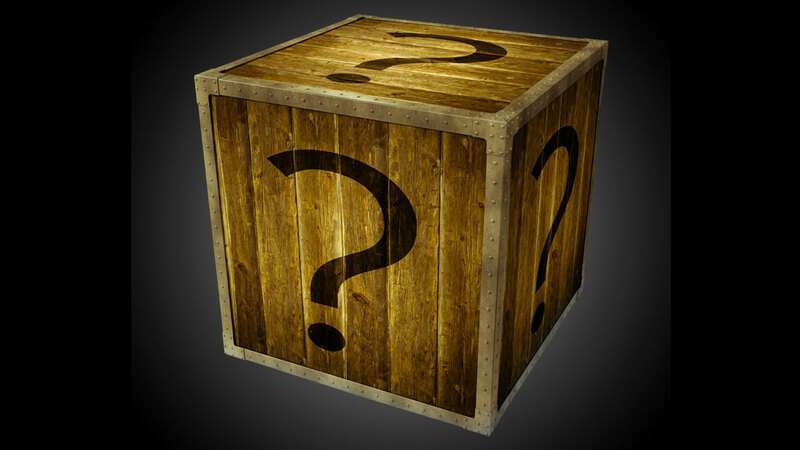 Click here and enter to win the Gadgets & Novelty Gifts Mystery Box! A $300+ value! I can't tell you what's inside, but I can tell you this Mystery Box will be brimming with gadgety and novelty-y and, most of all, Dudeworthy products you've seen around these parts before. I'll leave mulling over the possibilities up to your kid-on-Christmas imagination and anticipation. OK, one hint: the total prize retail value will be over $300. Once the Gadgets & Novelty Gifts Mystery Box Giveaway has concluded and the winner's prize ships, we will reveal all of the box's contents above. To register, click here and fill out the Gadgets & Novelty Gifts Mystery Box Giveaway entry form. Or, if you're already a member of DudeIWantThat.com, when the magic entry form button appears, just click it to enter. Giveaway prize includes $300+ worth of products that have previously been featured on DudeIWantThat.com.